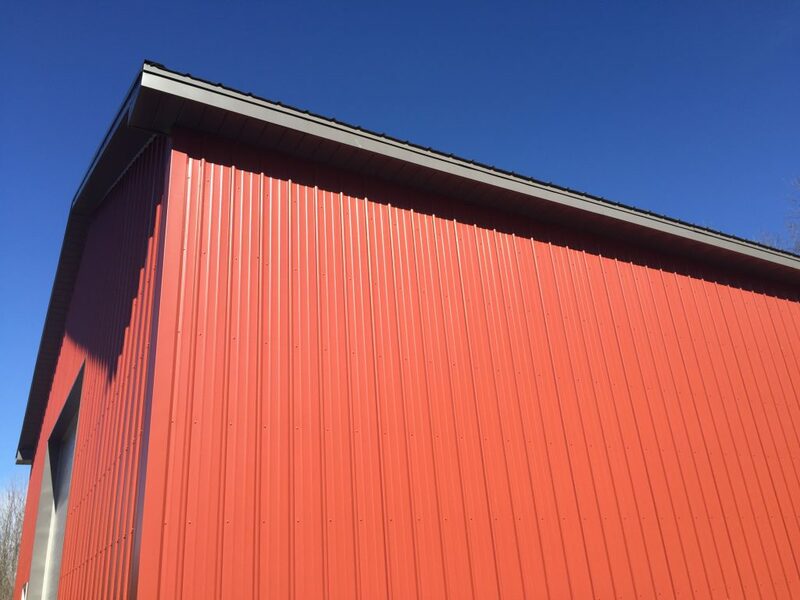 Selecting the right trim and installing it correctly is crucial to ensuring metal buildings look good and stay dry. 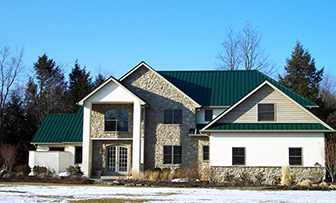 The success of any metal panel roof depends heavily on the trim. Aside from providing an elegant, finished look, these hard-working components serve as part of the flashing system by sealing joints, side seams and end laps against leaks. The right trim installed in the right manner will help keep metal buildings dry and good-looking for years to come. When most people think of trim, the pieces that come to mind are those installed around a roof’s perimeter: the ridge, or peak; the eaves, or lower edges; and the rake, or side edges. But just as important are those less noticeable pieces installed wherever there’s a change in roof slope, as in a valley, or where the roof meets a vertical surface like a dormer wall. Valley and dormer trim play particularly tough, yet vital roles because they have to prevent water trapped by leaves or snow from backing up into the structure. This is just as important on metal walls where trim sheds water away from windows and doors, and waterproofs inside and outside corners. In addition to performing well, the trim also has to be attractive, and trim thickness can be a major factor in how good the roof looks. Although the trim pieces are usually the same thickness as the panels, as we mentioned in our post on Metal Panel Gauges, it can be helpful to step up to something thicker, which is less likely to telegraph imperfections in the underlying roof or to dent if the installer mistakenly over-drives a screw. Additionally, a heavier-gauge trim can help prevent “Oil-canning”—the deformation of sheet metal—which can be common on trims applied to corners and door jambs. Using A 26-gauge trim piece on a 29-gauge roof may even allow for the selection of thinner roof panels, adding to homeowner satisfaction without adding much to—and maybe even reducing—the cost. Trim can only succeed at its job when installed in the proper sequence. On a roof, the eave and valley flashings must be put in place before the panels, while the rake and ridge pieces wrap around the tops of the panel edges. Done right, this sequencing creates overlaps that naturally shed water. The proper overlaps also protect the roof against wind-driven rain by ensuring that any water that sneaks past the trim during a storm hits an underlying piece of metal and drains back out to daylight so it can be evaporated. As an added layer of redundancy, the installer will include a sealant tape between the trim pieces and the panels. These serve as gasketing to keep water on the outside. Additionally, trims that are hemmed at the edges can add rigidity to and fight corrosion of the factory cut edge. Even the highest quality materials will not perform optimally unless installed correctly. To ensure each piece of trim is perfectly straight and square from end to end, with no bumps or dips, the installer will usually have someone on the ground confirm that everything looks right before fastening each piece. For information on ABC’s trim, including diagrams and installation manuals, visit our website or contact a local sales representative today. Hello, I am interested in a metal roof and trim for new contruction. Call when you can.